More than 50% of all physician office visits are for ENT problems. An ear, nose, and throat specialist (ENT) is a physician trained in the medical and surgical treatment of the ears, nose throat, and related structures of the head and neck. They have special expertise in managing diseases of the ears, nose, and nasal passage sinuses, larynx (voice box), oral cavity and upper pharynx (mouth and throat), as well as structures of the neck and face. ENT is the oldest medical specialty in the United States. Care of the nasal cavity and sinuses is one of the primary skills of the ENT specialist. Management of diseases of the nasal cavity, paranasal sinuses, allergies, sense of smell, and nasal respiration (breathing), as well as the external appearance of the nose, are part of an. ENT’s area of expertise. Also unique to the ENT specialty is expertise in managing diseases of the larynx (voice box) and the upper aerodigestive tract or esophagus including disorders of the voice respiration (breathing) and swallowing. In the head and neck area, an ENT specialist is trained to treat infectious diseases, tumors (both benign and malignant/cancerous), facial trauma, and deformities of the face. They perform both cosmetic plastic and reconstructive surgery. An ENT specialist may work with a team of doctors in other medical and surgical specialties. Common ground is shared with neurosurgery in treating skull base disorders; plastic surgery in correcting cosmetic and traumatic deformities; ophthalmology in treating structural abnormalities near the eye; oral surgery in treating jaw and dental trauma; allergy in managing sinus disease; dermatology in caring for skin cancers; oncology in managing head and neck cancers; and pediatrics and family practice in caring for common infectious, congenital, traumatic, and malignant (cancerous) diseases and disorders in the pediatric and general population. An ENT specialist is ready to start practicing after up to 15 years of college and postgraduate training. To qualify for certification from the American Board of Otolaryngology, an applicant must first complete college, medical school (usually four years), and at least five years of specialty training. Next, the physician must pass the American Board of Otolaryngology examination to be certified. Some ENT specialists pursue a one- or two-year fellowship for more extensive training in one of the seven subspecialty areas. 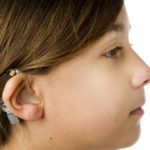 These include pediatric otolaryngology (children), otology/neurotology (ears and balance. ), allergy, facial plastic and reconstructive surgery, head and neck surgery, laryngology. (throat) and rhinology (nose). Some ENT specialists limit their practices to one of these seven areas. Medical and surgical treatment of cancerous (and noncancerous) tumors in the head and neck, including thyroid and parathyroid surgery.